We love our property rights in the United States. The first English settlers on the North American continent left their homeland, in part, to escape an archaic and feudal land holding system. 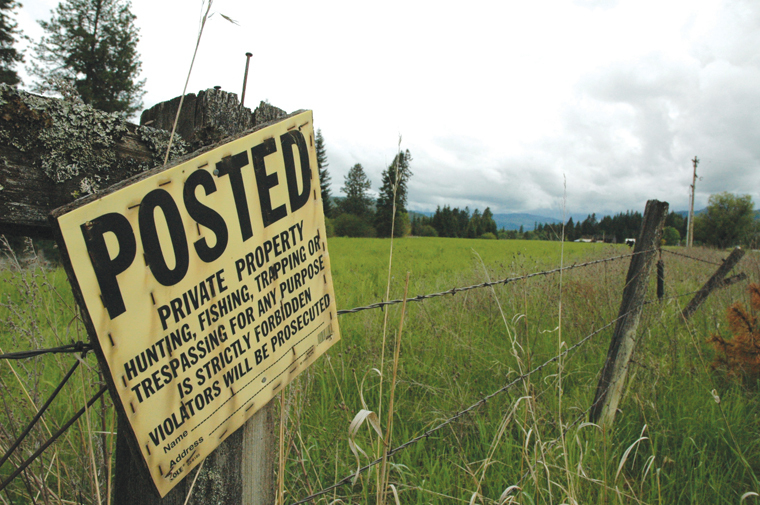 Later, the authors of the US Constitution offered the Fifth Amendment to protect private property owners from arbitrary government “takings.” Yet over the centuries, governments at the federal, state, and local level have crafted rules that circumscribe private property rights in order to mitigate conflict and address public health issues that accompany higher density urban living (note: the majority of Americans lived in rural areas until around 1917). Today, this delicate balance between the rights of individuals and the public well-being manifests in institutions like zoning, subdivision regulations, and comprehensive planning. Every aspiring intentional community confronts this vast maze of laws, including communities that strategically evade these laws by settling in sparse rural regions. Below, I discuss some of the most important tools that planners and municipal governments use to both restrict and enable development, and the obstacles that these tools might pose to aspiring or existing intentional communities. Then, drawing from research I’ve conducted in the cohousing movement, I discuss strategies that aspiring community founders can take to navigate this maze and strategies that intentional community advocates can take to ease the passage of community formation in the future. Infrastructure is the engine of urban growth. A typical property owner may have the right to build a residential subdivision on her land, but she’s unlikely to do so without connections to public infrastructure. This includes “hard” infrastructure like roads and sewers, as well as “soft” infrastructure like schools, police departments, libraries, and hospitals. In some cities with innovative growth management programs, developers are required to subsidize public infrastructure to offset the public costs of new development. For example, a city might require a residential developer to pay for a new school if the development is likely to attract families with children. As a general rule, home buyers and businesses expect to connect to these basic public services unless they’re willing to pay to have them installed independently, and municipalities can immediately influence the likelihood of development on its fringes by expanding its infrastructure. Similarly, cities can encourage redevelopment of its older neighborhoods by updating existing infrastructure. One of the major reasons the US has transformed into a predominantly suburban nation in the past century is the installation of the Interstate Highway System, beginning in 1956. Now over 46,000 miles long, the Interstate Highway system is the largest peacetime public works project…ever. In addition to linking cities across the nation, the system has opened access to countless acres of previously inaccessible rural parcels. In other words, we can all thank this infrastructure system (amongst changes in housing financing) for sprawl. Public infrastructure alone is unlikely to thwart the development of an intentional community, but public infrastructure tends to coincide with zoning, subdivision regulations, and, of course, higher land values. If your plan is to build a community on cheap land, and you’re willing to experiment with technologies like humanure, rainwater harvesting, and micro-power, you might search for a rural parcel without sewer infrastructure. But buyer beware: you may have to adhere to land use regulations later in time, if urban growth approaches your vicinity. The first citywide zoning ordinance was adopted by New York City in 1916. Its principle objective was to limit the shadow cast by skyscrapers, and it contained only four types of districts: residential, commercial, manufacturing, and unrestricted. In the early 1920s, with some urging from the federal government, states began to allow their towns and cities to adopt their own zoning codes. Despite complaints that the practice violated private property rights, the tool was ultimately upheld by the landmark 1926 Supreme Court ruling, The City of Euclid, Ohio v. Ambler Realty. The court’s main rationale for upholding zoning was that municipal governments have the responsibility to protect the health, safety, and welfare of its inhabitants and that residences ought not have to deal with toxic and disruptive land uses in their vicinity. Since Euclid, the Supreme Court has upheld zoning powers in dozens of cases, and the practice has diffused to nearly every incorporated jurisdiction in the United States (Houston, Texas is one notable exception). Many states require its cities to draft zoning ordinances, and today, even relatively simple zoning ordinances contain dozens of districts, including multiple types of residential, commercial, industrial, institutional, mixed use, and special districts. My birthplace of Northbrook, Illinois (population 33,170) has nine different residential districts, for example, ranging from very low-density to higher-density multi-family districts. Today, more enlightened cities adopt zoning categories that allow for a mix of uses in the same district, which planners use to encourage pedestrian-friendly, vibrant urban spaces. Zoning is perhaps the most pernicious obstacle to intentional community formation, especially in western states with strict growth management programs. In the region surrounding Portland, Oregon, for example, an urban growth boundary restricts housing density to a maximum of one home per 40 acres outside the boundary, while encouraging relatively high densities on the inside of the boundary, so rural or semi-rural enclaves are almost impossible. Zoning regulations may also restrict at-home gardening to back yards, which is a challenge if you have a north-facing lot. Scholar Edna Sussman (2008) details how some cities used zoning ordinances to restrict the installation of solar panels in the 1970s. This was apparently for aesthetic purposes: solar panels weren’t nearly as sleek as they are today. Some of these municipalities have updated their rules to allow or even encourage solar panels, but many have not. In the vein of energy production, height restrictions tend to forbid the installation of wind turbines, although some cities are beginning to make exceptions to this rule as well. Zoning poses obvious challenges to cohousing communities, which tend to cluster homes in ways that defy density maximums, setback requirements, and parking minimums. Since cohousing is neither exactly single-family housing nor exactly multi-family housing, it resides in a legal “no-man’s land.” Common houses may also fall outside the list of structures permitted by zoning. In my discussions with cohousing founders, almost every community has had to invest time and money into working with city planners to create a customized zoning category, typically called a “planned unit development” (PUD) or a “planned residential development” (PRD). Exceptions to this rule include communities founded decades ago in rural areas and some communities in urban centers. PUDs and PRDs are not terribly uncommon. Innovative residential developers use PUDs to accomplish mixed-use projects that do not fit neatly inside any single zoning category. PUDs are also used across the intentional communities movement, but they take months or even years to co-create with city planning staff. Another important steering mechanism employed by cities is subdivision regulations. Subdivision regulations are rules about the installation of neighborhood infrastructure—that is, where and which types of infrastructure a developer must include with new homes. Such rules are important for a number of reasons: if residential streets are a standard size, a city doesn’t have to worry about whether fire trucks, garbage trucks, or snow plows will fit down them. Most critically, once a developer completes a project, they typically leave maintenance of on-site infrastructure to the municipality, and it is important that this new infrastructure meets certain standards and is easy to find underground. Subdivision regulations also dictate elements like the maximum length and width of a block, the spacing of street lighting, storm water drainage, fire hydrants, street naming conventions, the width of sidewalks, amongst many other requirements. Subdivision regulations pose an obstacle to any community interested in sharing neighborhood infrastructure amongst households or pursuing unconventional design. A pedestrian-oriented community that places parking on its margins and clusters homes together at the center has no need for sidewalks, but sidewalks are typically required by subdivision regulations. One cohousing founder I spoke with explained that subdivision regulations in his Midwestern city required that each home build a separate sewer connection to the municipal sewer line. This is not an unreasonable expectation in neighborhoods with socially fragmented homes, but it is unnecessary in a community that can manage infrastructure collectively. If infrastructure is the engine of urban growth, and zoning and subdivision regulations are the steering wheel, then comprehensive planning is the road map. Comprehensive plans (or “general plans” in California) typically articulate a 10-20 -year vision for a city. They take years to create, and more enlightened cities invest heavily in public engagement strategies to ensure the plan reflects the will of its population. Cities use comprehensive planning to address long-term city-wide challenges, set goals, and identify strategies for meeting those goals in the coming decades. Comprehensive plans are often a compilation of many smaller plans, and this compilation allows city leaders to see how many little plans fit together into a (hopefully) coherent whole. Goals for sustainability and climate mitigation are often embedded inside comprehensive plans, although many cities have begun to create distinct plans for sustainability and climate change as well (Saha and Paterson 2008; Wheeler 2008). For a potential community founder, understanding a comprehensive plan is important because it is the legal justification for changes to the zoning ordinance or subdivision regulations. A city cannot make changes to a zoning ordinance or subdivision regulations on a whim, lest it risk a lawsuit. Changes to these codes require some “rational basis”—in other words, a city council must cite some justification for the change, which they can find inside the city’s comprehensive plan. If you own an unrestricted rural parcel and you are concerned that it might one day be annexed by the city (subjecting it to zoning and subdivision regulations), you’d best check the “future land use” section of the comprehensive plan. Where does the city imagine urban growth occurring in the coming 10 or 20 years? Would you be comfortable with a 250,000 square foot retail store in your back yard? Conversely, intentional community members can take advantage of the comprehensive planning process to advocate for including its design elements and goals in municipal regulations. As I detail below, the cohousing model resembles clustered housing strategies that progressive cities are interested in pursuing anyway. Explicating cohousing as an actual housing alternative as part of a comprehensive plan—placing it on the city’s metaphorical road map—may offer the city council a rational basis for permitting cohousing projects in the future. In the past year, I have conducted interviews with founders of cohousing communities around the United States as part of a larger research project on the social, financial, and practical hurdles that cohousing initiatives confront in metropolitan development contexts. My interviews attempt to elicit the founding stories of cohousing communities, including the resources that founders use to navigate a complex urban development approval process. While the story of each cohousing project is unique, I have discovered several trends with regard to the role of municipal officials that I’d like to “preview” below. What can aspiring cohousing founders learn from all this? ● Know your city’s plans inside and out. Begin by perusing the most recent version of the city’s or county’s comprehensive plan—they’re often available online. You might not have to dig deeply to find that elements of the plan correspond with the vision of your intentional community. The more you can craft your goals to resemble the city’s goals, the better. ● Finally, advocates of cohousing and other intentional communities can work with planning professionals to cite alternative neighborhood models explicitly in documents like comprehensive plans, best practice manuals, and planning conferences. Most states have their own chapter of the American Planning Association. These chapters tend to hold yearly state-wide conferences where professionals discuss new ideas in the profession. You have nothing to lose by proposing a presentation. Advocates of intentional community might be surprised by the supportive audience at these conferences. And who knows, you might just find a new neighbor. Saha, Devashree, and R. G. Paterson. 2008. “Local Government Efforts to Promote the ‘Three Es’ of Sustainable Development: Survey in Medium to Large Cities in the United States.” Journal of Planning Education and Research 28 (1): 21–37. doi:10.1177/0739456X08321803. Sussman, Edna. 2008. “Reshaping Municipal and County Laws to Foster Green Building, Energy Efficiency, and Renewable Energy.” New York University Environmental Law Journal 16: 1. Wheeler, Stephen M. 2008. “State and Municipal Climate Change Plans: The First Generation.” Journal of the American Planning Association 74 (4): 481–96. doi:10.1080/01944360802377973. Robert Boyer is an Assistant Professor of Geography and Earth Sciences at the University of North Carolina at Charlotte. He received both a Masters and Ph.D. in urban planning from the University of Illinois at Urbana-Champaign, and has researched ecovillages and cohousing initiatives around the world.